Hawaii Island Air, Inc. (Island Air) announced on October 16, 2017 it is filing for Chapter 11 bankruptcy protection in an effort to continue normal operations while navigating through legal challenges recently presented by the lessors of its aircraft. The bankruptcy filing was caused by threats of legal action to ground the aircraft and strand hundreds of passengers. The filing prevents the threatened action and allows Island Air to continue interisland service for its customers. 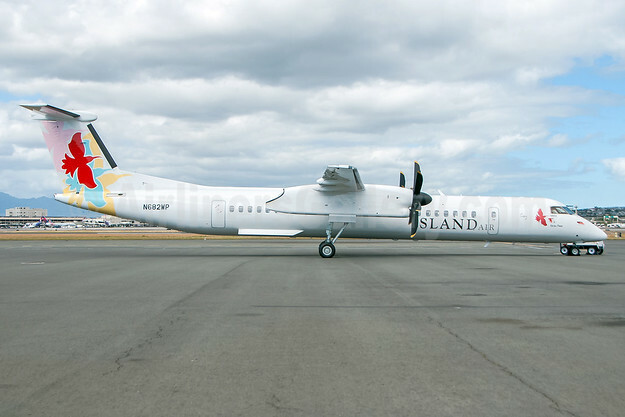 During the reorganization process, Island Air expects to fly its scheduled routes as normal and honor all previously purchased tickets and confirmed reservations. In addition, there will be no changes to the Island Miles frequent flyer and other customer service programs, including Kupuna & Keiki Saver Fare, Island Biz corporate travel program, and military and group travel programs. On October 12, 2017, while in the process of negotiating its aircraft leases with its lessors, Island Air was very surprised that the lessors served them with notices of termination of the leases and demands to surrender its airplanes. Prioritizing its customers, employees and the communities it serves, Island Air made the difficult decision to file for bankruptcy protection. Continuing to operate under the protection of the United States Bankruptcy Court will allow Island Air to maintain its service to its customers, provide continued employment to its more than 400 valued employees, and ensure a revenue stream so its vendors are paid. Copyright Photo: Island Air (Hawaii) Bombardier DHC-8-402 (Q400) N682WP (msn 4546) HNL (Ivan K. Nishimura). Image: 939613. As with all companies experiencing a growth in demand, there is an adjustment period. Island Air narrowed its 2017 first quarter loss while revenue continued to rise, making this the airline’s highest quarterly revenue since before 2013 when Island Air was required to begin reporting its financial data to the DOT due to the size of its aircraft. In the second quarter of 2017, the airline earned $12.5 million in revenues, its highest quarterly revenue in more than a decade. In the first quarter of 2017, Island Air flew 172,200 passengers (over double the previous quarter’s figure of 75,102). Additionally, Island Air has increased marketing in North America, Asia, Australia and New Zealand. In January 2016, Hawai‘i-based investment company PacifiCap acquired controlling interest in Island Air from Ohana Airline Holdings, LLC (OAH), which is wholly owned by Oracle corporation founder Larry Ellison. Since that time the airline has been focused on improving operations, increasing efficiencies and elevating service to customers. This has included strategic investments in equipment and supplies, including upgrading its aircraft fleet, as well as expanding training and resources for employees. In addition, Island Air is currently modernizing its information technology system, which when fully implemented will enhance online reservation and bookings, expand digital services and improve interface with codeshare and interline airline partners. 200 flights each week between O‘ahu, Maui, Kaua‘i and Hawai‘i Island, and employs more than 400 individuals throughout the State of Hawai‘i. This entry was posted in Island Air (Hawaii) and tagged Bombardier DHC-8-402 (Q400), HNL, Island Air, Island Air (Hawaii), msn 4546, N682WP on October 17, 2017 by Bruce Drum. 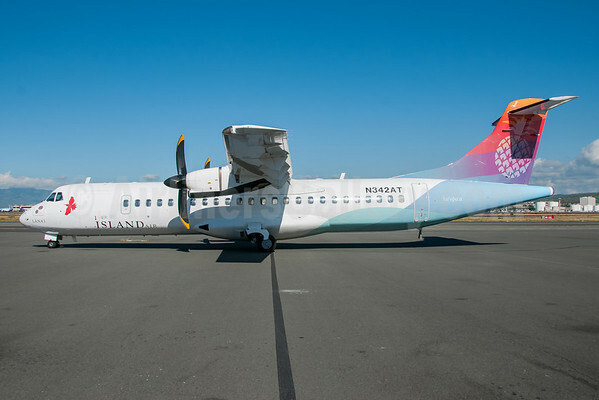 Island Air (Honolulu) on June 1 will discontinue service to Kauai (LIH) and slightly adjust service between Honolulu and Maui (OGG) from eight round-trip flights a day to seven round-trips (Monday-Friday) and ten round-trip flights on weekends. In addition, two of the Honolulu-Maui flights will continue on to Lanai (LNY) after picking up additional passengers in Maui, replacing five nonstop round-trips per day from Honolulu. Copyright Photo: Ivan K. Nishimura/AirlinersGallery.com. Ex-American Eagle/Executive Airlines ATR 72-210 N342AT (msn 345) prepares for its next flight at the Honolulu base. This entry was posted in Island Air (Hawaii) and tagged 345, ATR, ATR 72, ATR 72-200, ATR 72-210, HNL, Honolulu, Island Air, Island Air (Hawaii), Kauai, lihue, N342AT on May 4, 2015 by Bruce Drum. Island Air (Honolulu), owned by billionaire Larry Ellison, wants its pilots to pay back a prematurely-paid $4,000 Christmas bonus according to the Star Advertiser. The payment was sent prematurely last month “due to an internal administrative error”. Oops! Copyright Photo: Ivan K. Nishimura/Blue Wave Group/AirlinersGallery.com. ATR 72-210 N342AT (msn 345) waits for the next flight departure at the Honolulu gate. This entry was posted in Island Air (Hawaii) and tagged 345, ATR, ATR 72, ATR 72-210, Christmas bonus, HNL, Honolulu, internal administrative error, Island Air, Island Air (Hawaii), larry ellison, N342AT on November 23, 2014 by Bruce Drum. Thursday, August 7 afternoon flights serving Maui and Lanai have been cancelled. Flights servicing Kauaʻi on Thursday, August 7 will operate on a normal schedule. All airline operations have been suspended on Friday, August 8. HNL – OGG: Flight 410 departing HNL 11:50 a.m.
OGG – HNL: Flight 411 departing OGG 1:02 p.m.
HNL – LNY: Flight 304 departing HNL 9:50 a.m.
LNY – HNL: Flight 303 departing LNY 10:50 a.m.
Normal flight schedule to resume Saturday, August 9, 2014. 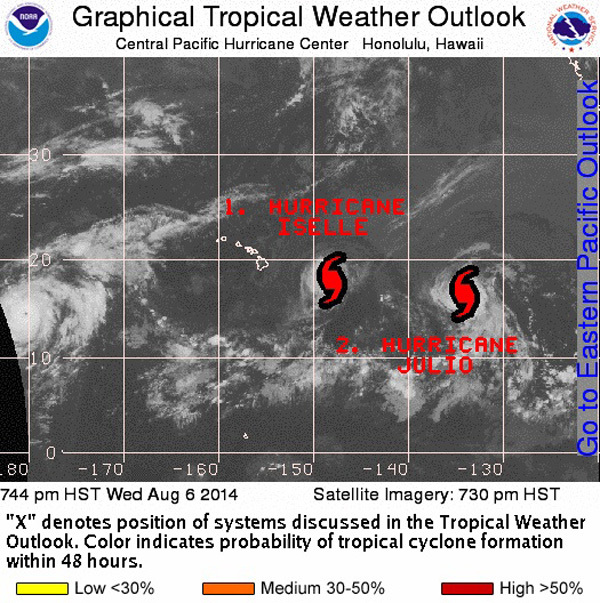 Island Air advises its guests that the Hawaiian Islands may be subject to significant tropical storm conditions beginning Thursday evening, August 7 and extending through Monday evening, August 11. To check on time status please visit our Flight Status page. Island Air will waive reservation change fees and differences in fares for guests who need to change their travel plans. The Reservations department will maintain extended hours of 6am – 10pm Thursday and Friday, returning to 7am to 6pm on Saturday. Guests who are ticketed for travel on Island Air from August 7, 2014 through August 12, 2014 will be permitted to change their flight without charge by contacting reservations at 1-800-652-6541. Changes must be made prior to the departure of originally scheduled flights. Hawaiian Airlines is also waiving any fees for passengers to make changes. Due to the storm systems that are currently approaching the Hawaiian Islands, our Reservations Department is receiving an extremely high volume of calls – because of this, you may experience longer than normal wait times. We sincerely apologize for this inconvenience and thank you for your patience as we work to reduce the call queues. Customers are advised to check HawaiianAirlines.com for the latest updates on scheduled flights. Effective immediately, Hawaiian Airlines will waive reservation change fees and differences in fares for customers who need to change their travel plans because of Hurricane Iselle and Hurricane Julio. If you would like to change your reservation, you can do so by calling our Reservations Department at 1-800-367-5320 or you can also do it online at HawaiianAirlines.com by using our Change Flight option. Please note that if you change your reservation online, you will be required to pay the applicable change fee and fare difference, but may request a refund of the change fee and fare difference paid, provided that your change falls within the guidelines below. Upon approval, we will process your refund within 7 days to the form of payment used. Please submit your request for reimbursement via our Consumer Affairs Office. Keep in mind that applicable difference in fare(s) will be waived provided that change is made to same class of service (i.e. Coach to Coach or First Class to First Class) and there is no change to origin and destination. Reroutes are permitted with waiver of change fee and will be subject to applicable fare difference. Extra Comfort or preferred seat charges may be refunded if the same seat is not available on the new flight or if flight is cancelled. Normal refund rules will apply. There will be no waiver of any applicable cancellation fees for refundable tickets and no refunds permitted on non-refundable tickets related to this event. All the best to our friends in Hawaii! This entry was posted in Hawaiian Airlines, Island Air (Hawaii) and tagged Hawaiian Airlines, Island Air on August 7, 2014 by Bruce Drum. Island Air (Honolulu) and American Airlines (Dallas/Fort Worth) are commencing interline e-ticket sales and airport through check-in for customers of both carriers. The new agreement allows both airlines to sell each other’s seats and place all flight segments on a single ticket. The agreement provides customers access to a larger route system to enhance their travel options. At the airport, this relationship means boarding passes can be issued by either Island Air or American all the way through to the guests’ final destination without having to re-check in with the next carrier. The interline relationship relieves passengers holding a through, interline ticket of transferring baggage at the connecting airport. “We continue to improve Island Air, and with this interline agreement with American Airlines, we will expand our customer base and offer even more value,” said Island Air CEO Paul Casey. Island Air interline e-ticketing with American became available in all major computer reservations systems on June 27, 2014. Copyright Photo: Ivan K. Nishimura/Blue Wave Group/AirlinersGallery.com. Former American Eagle-Executive Airlines ATR 72-210 N342AT (msn 345) sports the new 2014 livery at the Honolulu base. This entry was posted in American Airlines, Island Air (Hawaii) and tagged 345, American Airlines, ATR, ATR 72, ATR 72-200, ATR 72-210, HNL, Honolulu, Island Air, Island Air (Hawaii), N342AT on July 10, 2014 by Bruce Drum. 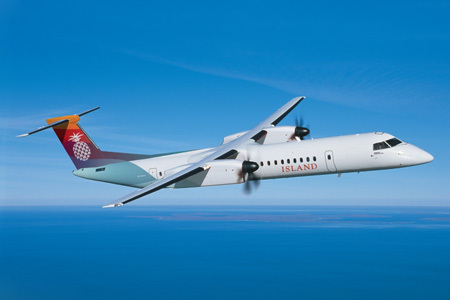 Island Air (Honolulu) will discontinue all passenger service to the island of Molokai and redeploy the ATR 72 to another route starting on April 1 per the Star Advertiser. The decision was probably influenced by the plans of Ohana by Hawaiian to serve the route starting on March 11 from Honolulu. 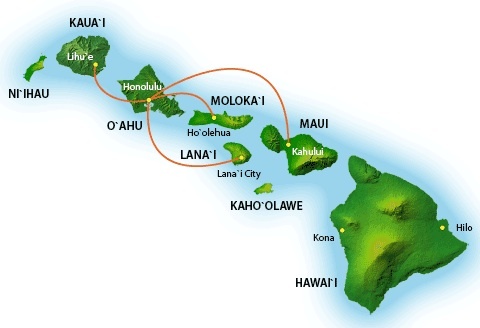 Island Air now only serves three routes from Honolulu. Copyright Photo: Ivan K. Nishimura/Blue Wave Group. 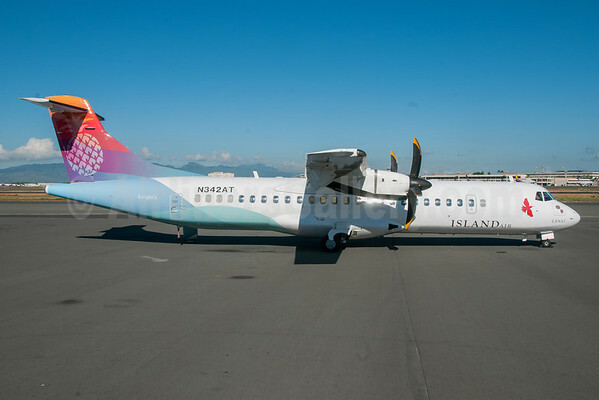 Freshly repainted ATR 72-210 N342AT (msn 345) displays the new 2014 livery at the Honolulu base. This entry was posted in Island Air (Hawaii) and tagged 345, ATR, ATR 72, ATR 72-200, ATR 72-210, HNL, Honolulu, Island Air, Island Air (Hawaii), Molokai, N342AT on February 21, 2014 by Bruce Drum.